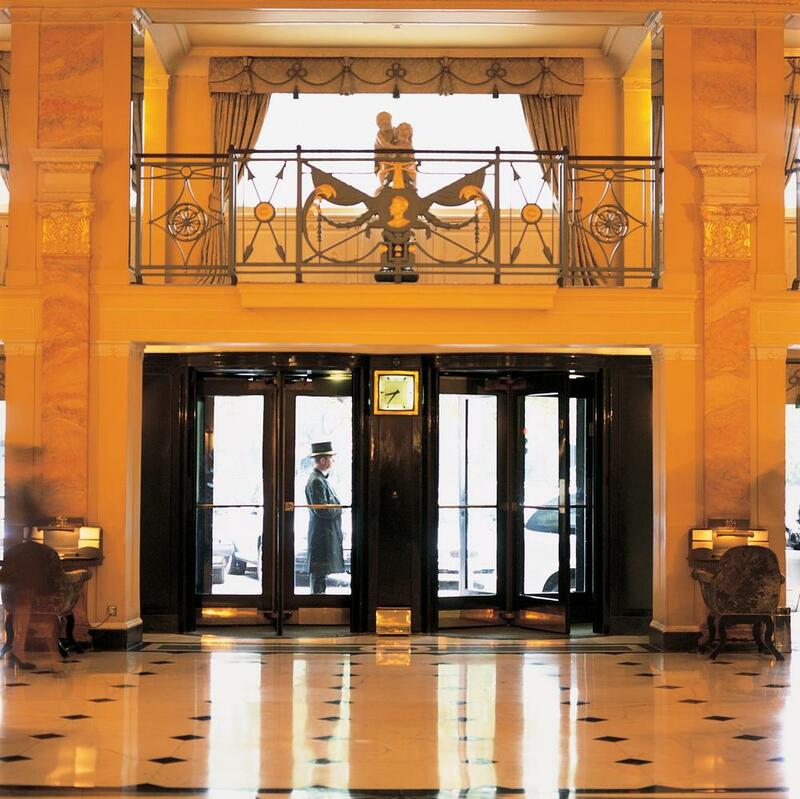 Home » Countries » Popular Articles » The Dorchester Hotel, Park Lane, London. 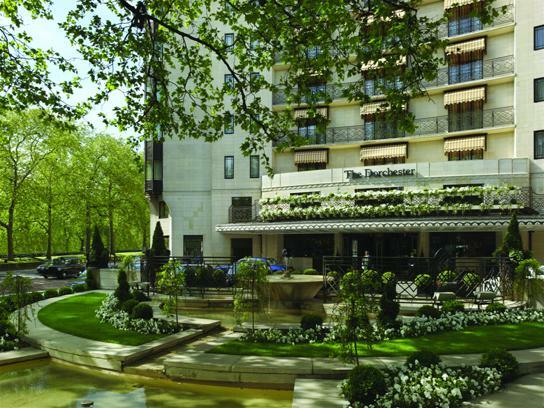 The Dorchester Hotel is opposite Hyde Park, about a ten minutes’ walk from Marble Arch in Oxford Street. The land that the hotel now stands on was next to Henry Vlll’s hunting park. William the Conqueror gave the land, known as the Manor of Hyde, to Geoffrey de Mandeville. Then it became religious land, and in 1751 a large building was built there. Joseph Damer, the Earl of Dorchester, acquired it in 1792 from the Abbot and Convent of Westminster. So it became known as Dorchester House. The Dorchester House became the American Embassy in 1910 and was eventually converted into a hospital during the First World War. I went there for a meeting. There were a lot of staff on the door and in the foyer. They were all pleasant and helpful, and they directed me to where the meeting was being held. We were greeted with tea and coffee, and then an excellent buffet lunch was set out, with a selection of hot or cold food, and irresistible little cakes and pastries. It’s a very impressive building, and well-worth visiting for a drink or a meal. 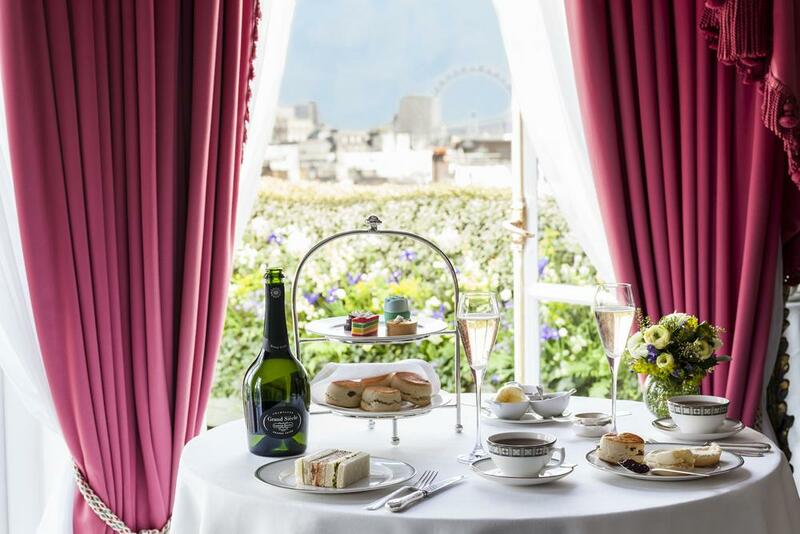 The Dorchester is situated in the heart of London’s Mayfair on Park Lane, with 250 rooms and suites designed in a classic English residential style, affording expansive views of Hyde Park. Alexandra Champalimaud redesigned 22 new Dorchester and Park Suites in 2012, fusing contemporary comfort with timeless glamour. A wide range of dining is available to guests in The Promenade, The Bar and The Grill, China Tang and three Michelin star Alain Ducasse at The Dorchester. The Dorchester Spa reopened in May 2009 after a multimillion transformation to offer indulgent pampering in a glamorous art deco setting. 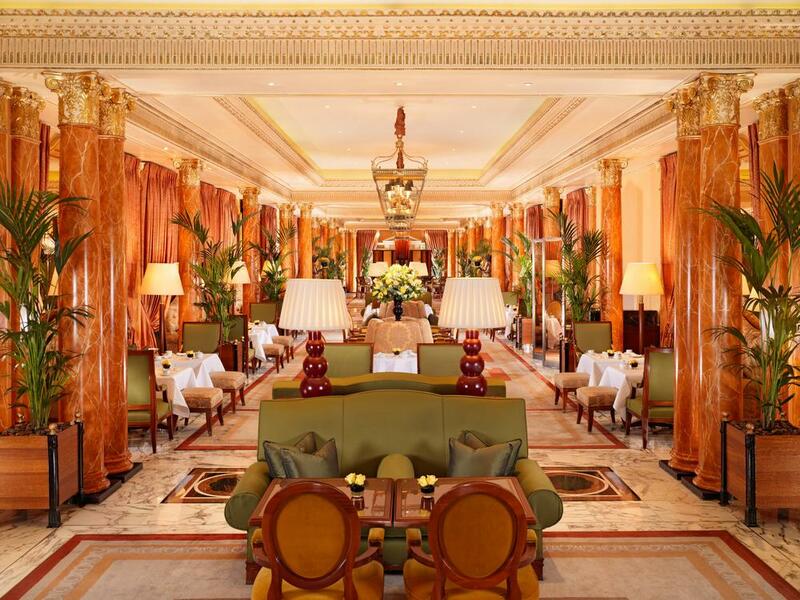 The Dorchester’s ten banqueting rooms, including The Ballroom which was renovated in September 2011, offer a wide selection for hosting various events, from intimate dinners to cocktail receptions of up to 1,000 guests. The Oliver Messel Suite, created by the theatre designer, is one of the most famous hotel suites in London. The suite on the seventh floor has been the favourite suite to stay in for over half a century by guests including Marlene Dietrich, Noel Coward, Bob Hope and Sylvester Stallone, among others.